Will Teresa Find Fame But Lose Her Soul? It's 1913 and vaudeville is America's most popular form of entertainment. Thousands of theaters across the country host vaudeville troupes. In Brattleboro, Vermont, fifteen-year-old Teresa LeClair--who has a "voice like a nightingale"--remembers the thrill of singing onstage as a child. But her parents have given up life on the road, and her father has decided that Teresa, blessed with perfect pitch, should drop out of school and work in the tuning rooms of the organ factory. Determined to escape the life her father wants for her, Teresa wins an amateur singing contest in Brattleboro's opera house and steals away on the night train to New York. She hopes to become a star on Broadway's "Great White Way," but has no idea of the challenges that lie ahead. There she runs into Pietro Jones and his father, talented African American dancers. Teresa and Pietro become competitors as well as unlikely friends. Liza Ketchum grew up in a family that placed a high value on the arts, particularly storytelling, music, and dance. Her father, also a writer, loved to tell about Liza's great-grandmother, a singer and pianist who caused a scandal when she eloped with a musician at the height of vaudeville's popularity. 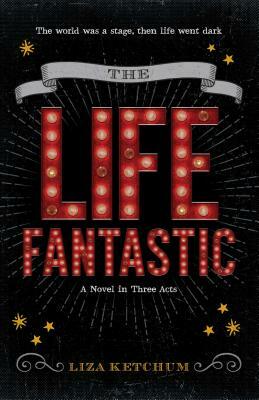 That story, along with the vaudeville songs that her grandfather used to sing, inspired Liza to write The Life Fantastic. She is the author of sixteen published books of fiction and nonfiction for young readers, including the recently published Out of Left Field, set in contemporary Boston with echoes to the Vietnam War era. Her middle grade novel, Where the Great Hawk Flies, won the Massachusetts Book Award for Young Adults. Liza and her husband divide their time between the Boston area and southern Vermont.